Joseph Benjamin was born on 9 November 1976, to a Kogi State indigene father and an Anambra State mother. The co-host of the talent reality show “MTN’s Project Fame” is a Nigerian actor, TV presenter, model, voice-over artist and father of two. He was recently nominated for the Golden Actor in the Golden Movie Awards alongside prominent names. The graduate of the University of Nigeria, has definitely brought a change to the Nigerian entertainment industry. 1. Benjamin was born on 9 November 1976, to a Kogi State indigene father and an Anambra State mother. 2. He attended primary school in Benue State and completed his secondary education in Lagos State. 3. He holds a Diploma in Computer Science from the University of Nigeria, Nsukka. 4. He got married in 2004 and they were blessed with two children; he and his wife are now separated. 5. At the age 12-years-old, he appeared in the television program “Tales by Moonlight” on NTA. 6. Before he broke into the Nigerian entertainment scene, Joseph was once a bus conductor. 7. 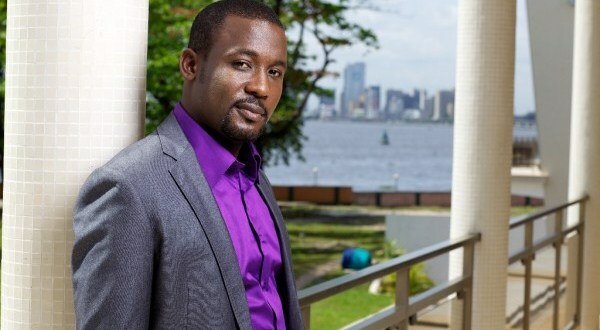 He starred on his first movie titled “Crossroads” in 1991 alongside Ramsey Nouah and Sandra Achums. 8. He has starred in a number of movies including the drama “Tango With Me” with Genevieve Nnaji and has appeared in a number of TV and radio commercials. 9. He has co-hosted with Adaora Oleh the MTN Project Fame West Africa since 2009. He later won the African Actor of the Year award at the 2012 African Film Awards. 10. He was recently nominated for Golden Actor in the Golden Movie Awards which held on 21 May 2015. The nominees for this category also include actors like Gbenga Tityloye, John Dumelo, Adjetey Anang and Blossom Chukwujekwu.